Think Inside The Box For Good Green Fun. 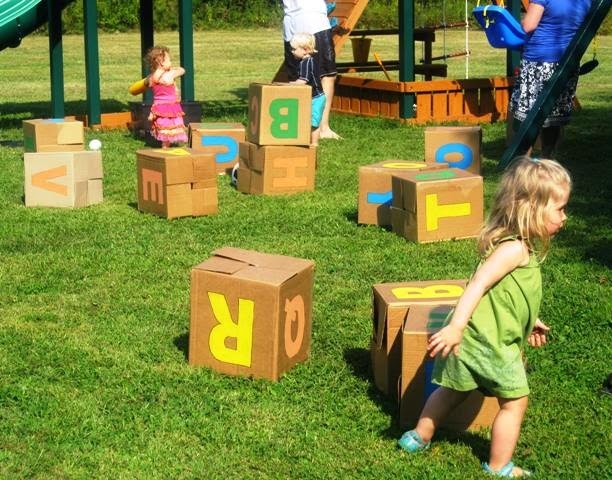 When it comes to play, something as simple as a box can be the most creative of all. 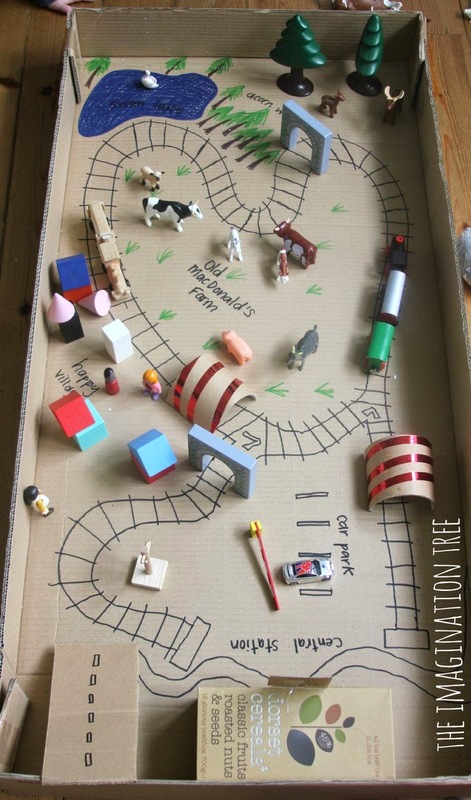 Here at Planetpals, we love seeing what families come up with for box based play. So, whether you are a Parent, Grandparent or Teacher, think outside the box to find ways to play inside the box. Did I say it's also green? Reusing cartons and boxes is not only creative, but it's a great way to recycle and get one more use out of something headed for a heap. If your a grandparent, you don't always have the luxury of space to keep lots of toys around for the kids, it's a great solution. 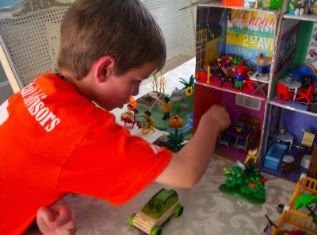 If your on vacation, in a hotel, camping, on a limited budget, or just love being eco friendly, creating toys together with boxes and other recycle materials can be a great way interact and allow kids something new to play with. 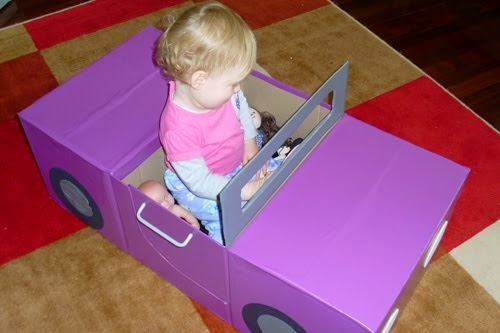 Just playing in a big empty box can be fund and a great way to use your imagination. Add crayons, paper, and toys and what do you have? 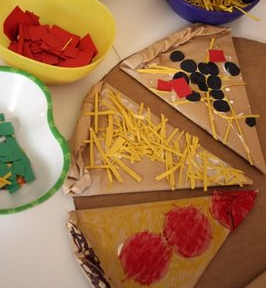 Cardboard Pizza ~ Hours of cooking fun - bake it in the oven below. Or make a kitchen range! 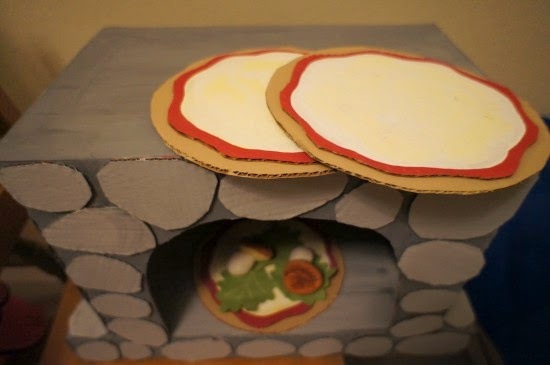 Cardboard Pizza Oven ~ Make a pizza oven complete with a brick front to bake cardboard pizzas. It's made from recycled boxes. Fill her up! Gas tank to fit your cars. 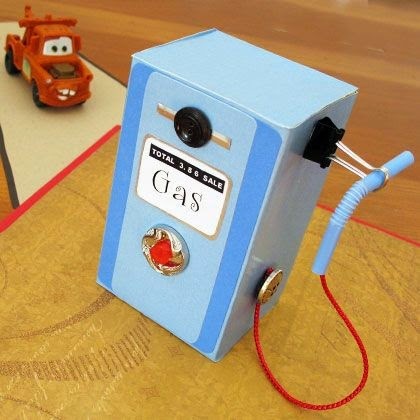 Whether you use it with your electric cars or your matchbox. Make a gas tank to fit! Make a road or a train track. I love this one because I used to do it when the kids came to visit. Perfect for Nan's house..slides under a bed for hours of play using small toys and cars. 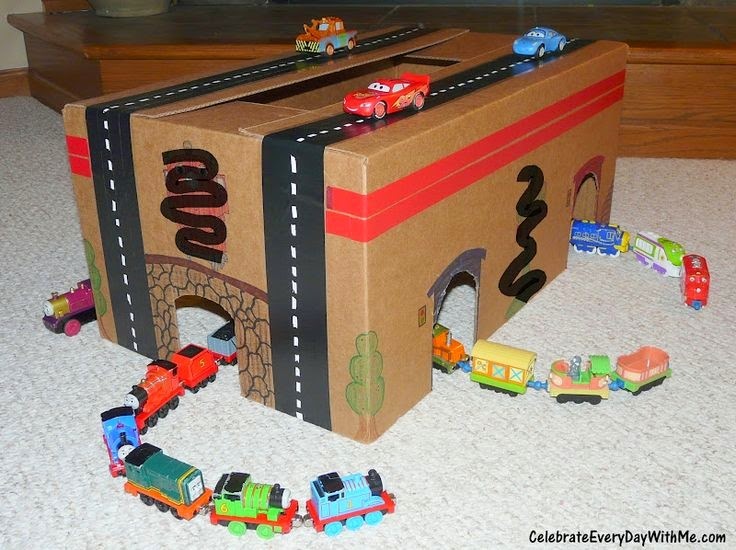 This Train Terminal will keep you going for hours of fun .Use play trains and cars. Shadow Box. 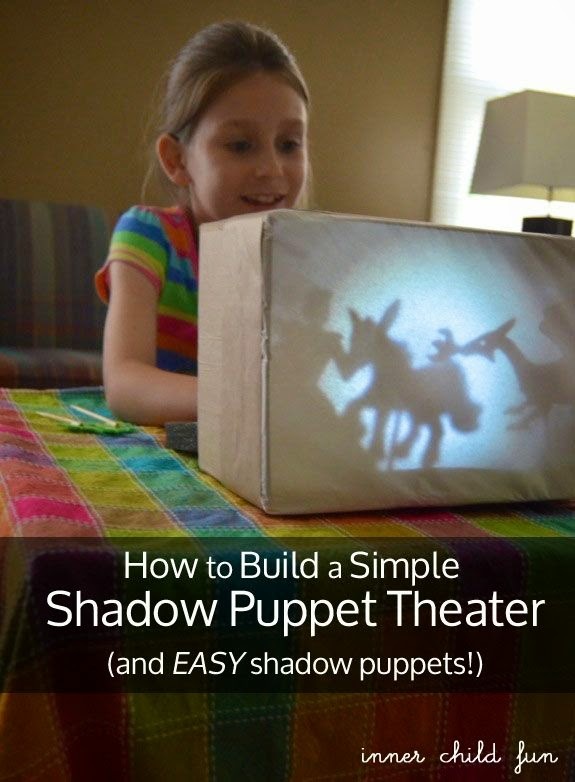 Teach kids about shadows and light. Let them create a play for the family. Nap time with furry friends in their own little barn. 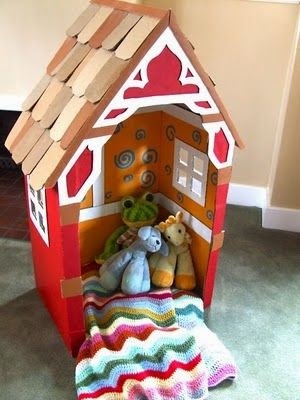 Use scraps for the roof shingles , make it as elaborate as you like. This looks like it was made for a kids a room for years of play. 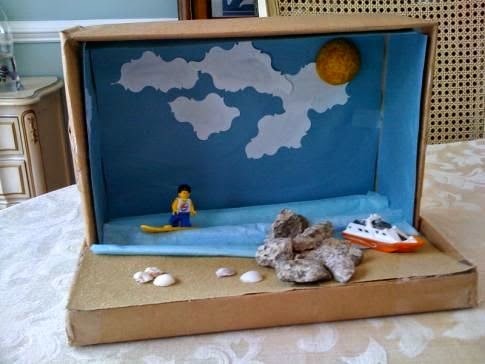 Make a diorama. Themed or Imaginary. Add small toys. Turn it into a playhouse. Some cool ideas here. 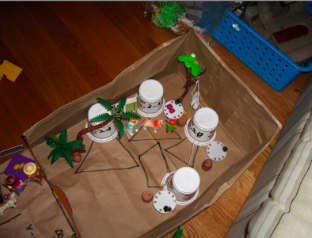 Make a campground with boxes and cartons. Check out this fun project! 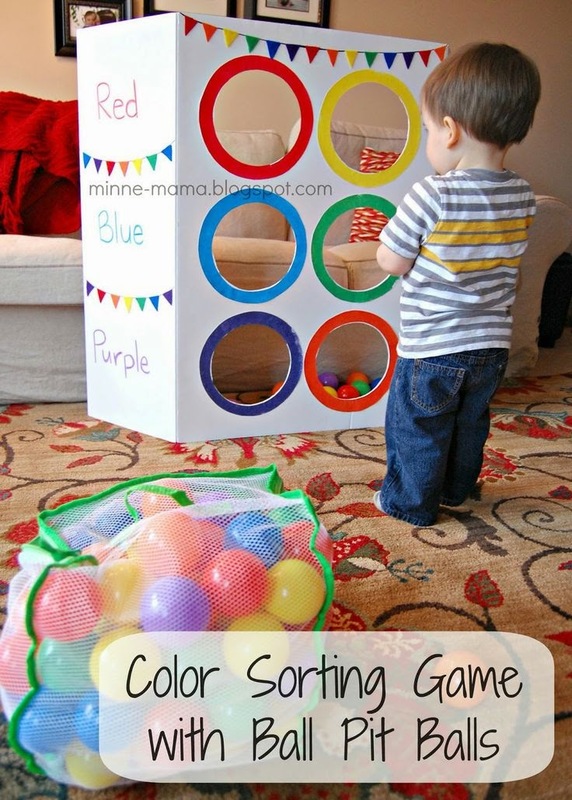 Ball toss or sorting game. This is tres simple and clever. 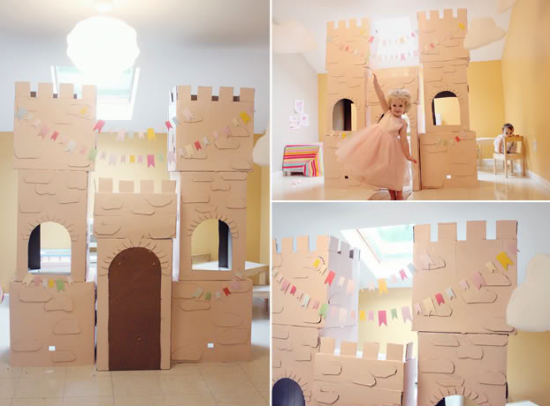 DIY Cardboard Castle ~ Make a life size castle with large cartons or one to fit your favorite dolls with small boxes and cartons. Paint, Draw or Decorate. You Auto have this Box. Make a car, truck, train, good to go! Toy store with products galore. 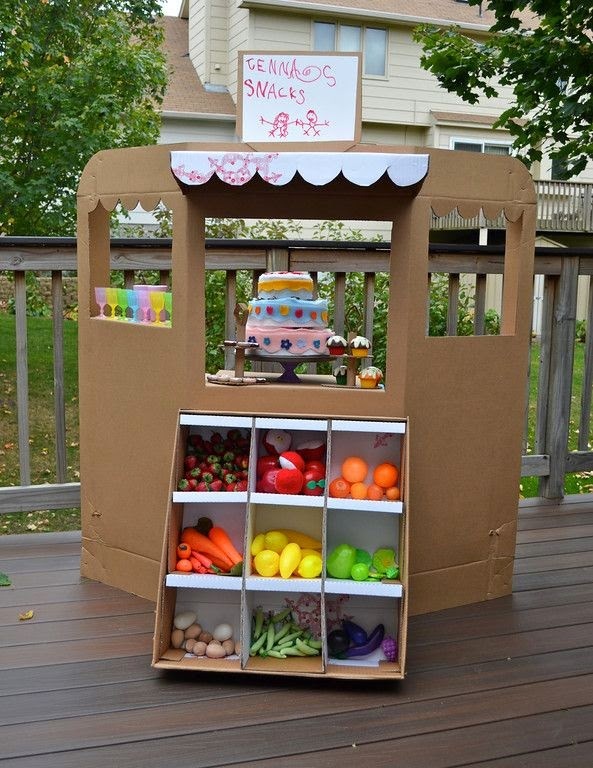 Whether you make a fruit stand, crafts market, or grocery this life size vendor is good for many hours of play. Letter Boxes: Perfect for the Toddler. Stack them, read them, learn the alphabet by sorting things inside (A for airplane, B for ball). Wash Day Play. Make a washer and dryer. 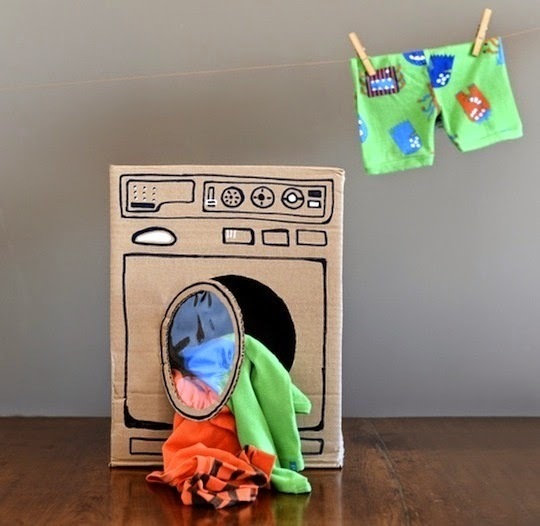 Teach kids to do their clothes with a string, clothespins, empty laundry bottle and some clothing. 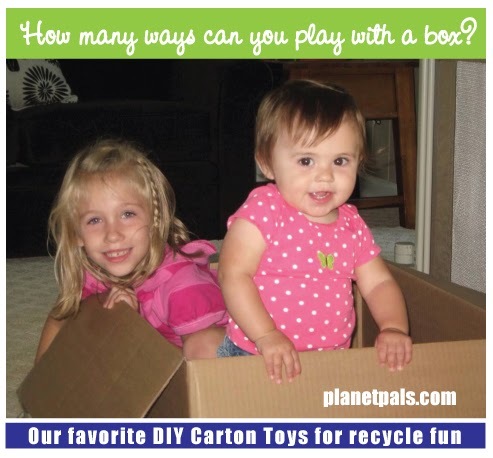 Check out Planetpals Craft Pages and Planetpals Pinterest Page for recycled toys, box toys and more. Whether you are preparing for a natural disaster or trying to recover from a recent disaster, there are quite a few things you should know. 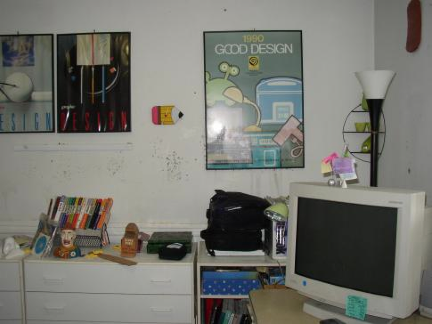 A few years back I had a major flood in my home. A lot was lost and a lot was learned! I know how overwhelming it can be, so I will pass on some of my best tips, as well as, point you to other sources. 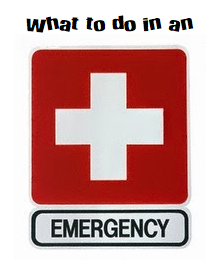 Many of these sources can be found on Planetpals Disaster and Emergency Preparedness Board on Pinterest , which is chock full of checklists, do's and don'ts, emergency articles with numbers to call (FEMA, Red Cross, etc), and lots more. I suggest that you go there after you read this! Obviously, pre hurricane or bad weather, you will take all usual precautions such as batteries, food, water, first aid kit and have gas in your car. Sometimes, however, disasters occur and we have no warning! Make a DIY house book: Useful for emergencies and every day! Have important papers on hand, replacing them can be overwhelming! 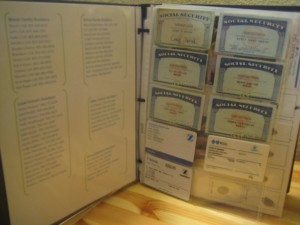 Copies (or originals) of your credit cards, licenses, passports, insurance cards, etc. 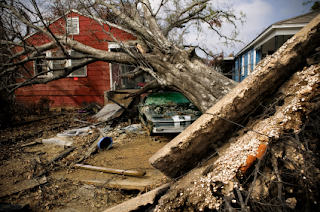 In a major disaster the insurance company needs to know exactly what was in your house. Taking photos will show the condition of your home before a disaster should strike. Take photos of the inside rooms. Most importantly, photos of anything important and valuable. Take photos of the outside of your home. * This may all seem unnecessary but believe me, you will not remember what was in your house. Still now, years later, I remember something else! Put anything you would hate to lose (such as photos) in fireproof and/or plastic containers. Have your house deed, auto titles, family birth certificates and passports in a safety deposit box or fire proof safe. 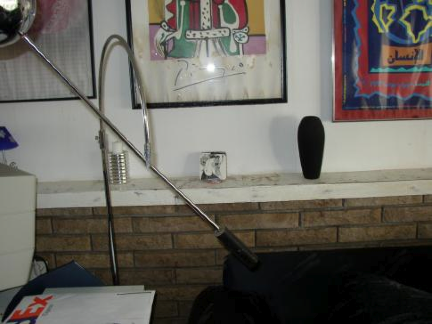 This was my studio. My computer baas floating in water! Get your own private insurance adjuster to represent you. A private adjuster takes care of most of the paperwork and negotiations. They work with the insurance company adjuster. It's well worth it if it is major home damage. Before you remove a thing photograph all damage. Take detailed photos and videos. Include images of the disaster and the condition of your stuff. Take clothing you will need right away to the dry cleaners yourself. Read your policy. If needed, make sure you learn the limits on your policy, allowances for living expenses, and whether or not you have replacement value or depreciation value, etc. Make a list of all damaged items, and values of major items. * The insurance agent will probably refer a remediation service. Make sure you have removed anything of major importance before they close your house off. 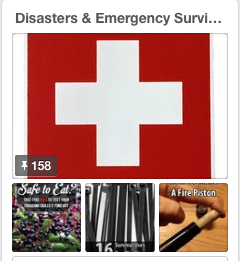 See Planetpals Disaster and Emergency Preparedness Board on Pinterest. The best articles and information sources to help you with disasters and emergencies! Wishing for Love and Peace Today and Everyday Around the World. #PeacePlease! 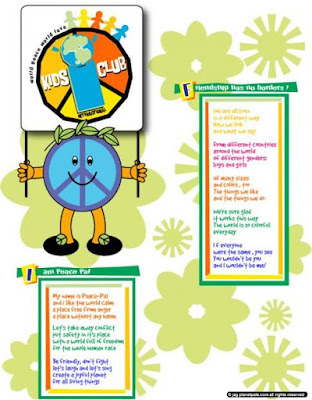 If you are wondering exactly what Peace Day is---Check out Planetpals.com and Planetpals IKIDSCLUB to learn all about PEACE day and gather the best collection of Peace solutions and activities. 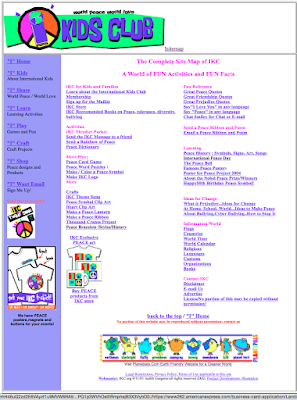 At IKC you will find Peace art, peace songs, peace poems, peace history, peace facts, peace quotes, peace activities and a lot more. All to help you foster PEACE, LOVE, TOLERANCE and UNDERSTANDING. Learn how to have peace in your small world as well as the big world around you. Send a peace card. Say PEACE in many languages. 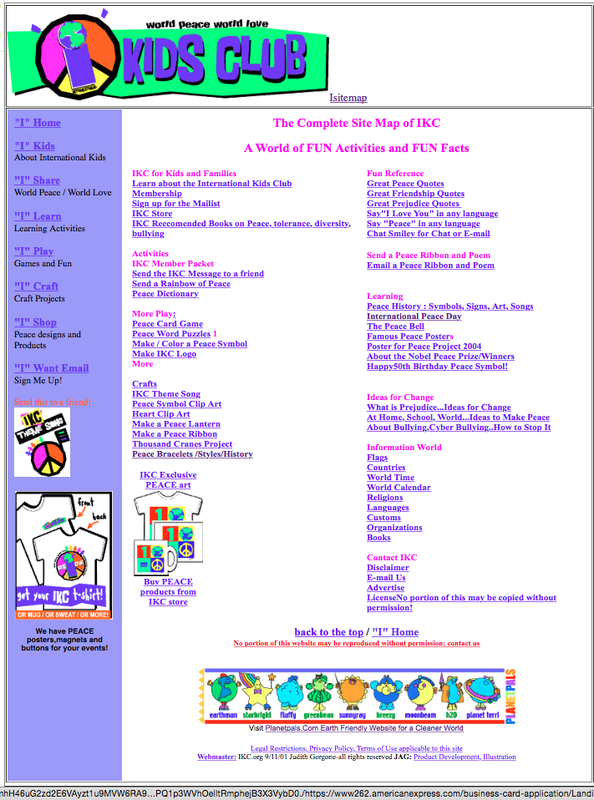 It's the only complete PEACE site on the web. Like Planetpals, it isn't missing a thing. 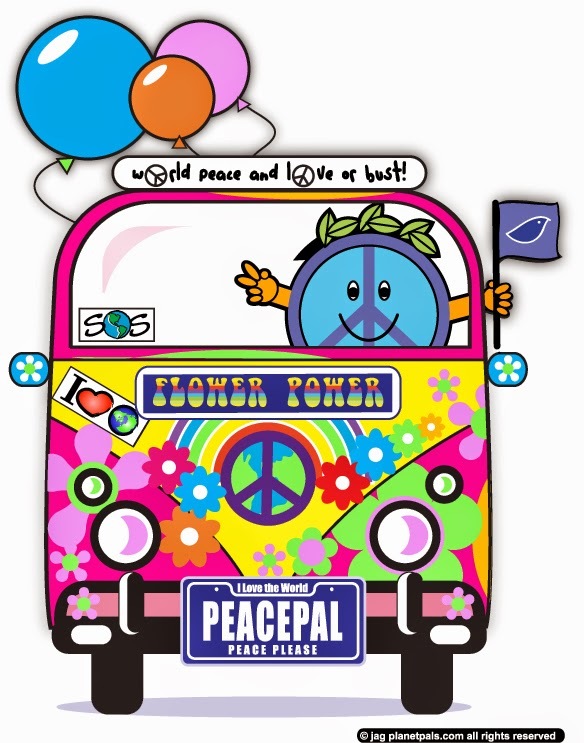 Hoping For World PEACE This Peace Day! A happy healthy world is the goal of Planetpals and what better way to celebrate and encourage it than a complete CLUB dedicated to it. At Planetpals we have done just that! We hope you will take part in learning how to share love, understanding and tolerance in your own small world as well as this great big world. The Story of Peace Day. 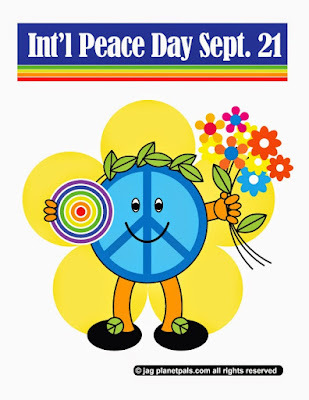 Septmber 21 is Peace Day. 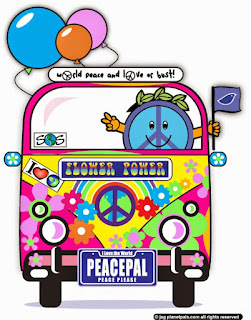 It's also the end of Planetpals Summer of Love celebration. Through which we brought Peace Ideas and Peace Activities to kids worldwide. 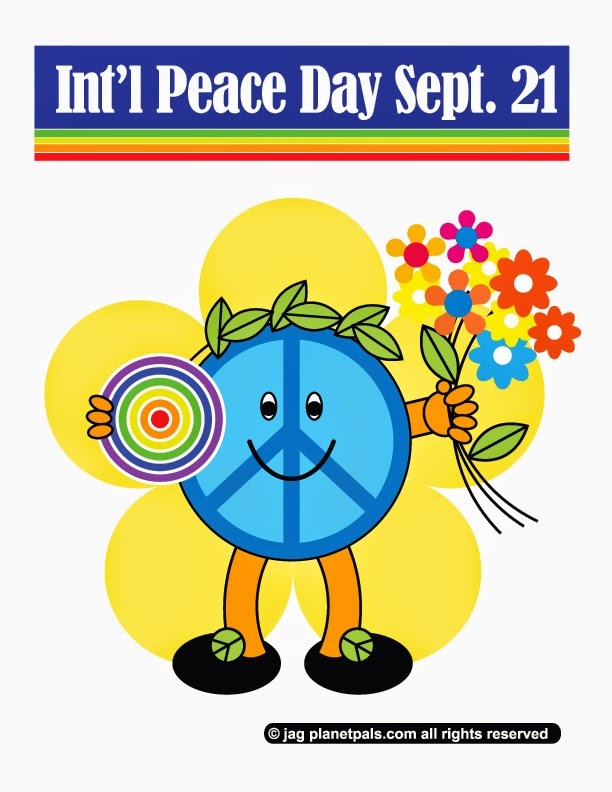 Peace, peace day, peace crafts, smiley crafts, rainbow crafts, peace ideas, peace and love, hippie, peace history, peace art, peace songs.